What would they do with my stuff? Downsizing in the next few years is a precious gift Ralph and I can give to our children. Our house is 1600 square feet, 2400 square feet if we count the mostly unfinished basement. We are not hoarders, but we have accumulated a lot of stuff over the last 19 years in this house, 28 years as a married couple. My parents are in the process of moving back to our state from Florida to live with my brother. A trailer of their possessions came up north with my mother in November. My siblings flew down to Florida today to help my father pack their remaining stuff into a moving truck, and drive back here with him. 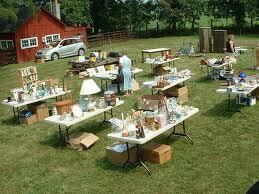 My parents already had three yard sales to reduce moving expenses. We have spent so much effort thinking about our children’s future that we have forgotten to plan for our future as our lives wind down. The thought of Mary, Will, and Patty being faced with what to do with our earthly possessions is deeply disturbing. I imagine them bewildered. The fact that Mary and Will are on the autistic spectrum complicates the situation. Better to give it away before then, while we still have the strength and will. Now is the time to get rid of craft items I haven’t even looked at in five years. Now is the time to shred documents we no longer need. Now is the time to go through the drawers and our many built-in cupboards. This summer we plan to sell our pop-up camper, which hasn’t been out of the garage in ten years. We could comfortably live in 800 square feet – a two bedroom house, condo, or apartment. A two bedroom space would have a place for Mary if she continues to live with us. Starting the process now, while we are still healthy, will prepare us for downsizing. If we wait, getting rid of the jetsam and flotsam of our lives will be overwhelming. I think about this a lot. I’ve several times been put in the place of helping others’ clean out houses after a death, and, being alone, the thought of strangers having to deal with my junk is extremely unpleasant. When my husband’s mother died last summer, we went through her stuff. She had kept so much that was decades old in her tiny apartment. I give things away on a regular basis. If I didn’t, I would be a hoarder. But this year, I vow to get rid of stuff that is also approaching the 20-year mark, along with newer to me stuff. It is partly due to not paying attention, of being too busy. I agree – “busy” has a LOT to do with it. There are un-finished projects, things I need to look-through. I think that is going to happen to me. My mother will probably give stuff to me, as well. There is not much that I want, other than a few mementos. I would like some pictures from my childhood because I don’t have many. And you can scan them to digital format … so all 3 of your kids can have them, without acquiring stuff! I agree. Every time I clean out a new space, I feel better. I wonder if Mary ever had a voc rehab intake… the states run their own. In Delaware it is the department of vocational rehabilitation – pa is the office of vocational rehabilitation… they can provide counseling and training and job coaching for anyone with a disability. One of the most “freeing” experiences I’ve had is getting a dumpster put in my backyard when I moved last year and just filling it up. Twice. Did I really need that huge cooler on wheels I used to use to enough food for a basketball team to my son’s games — um, since he is now a lawyer living in NYC, probably not. We are seriously considering getting a dumpster and filling it up. When we had our new roof put on two years ago, we added some stuff to their dumpster. When we first moved into our current house, our city used to have a free trash day for certain “blighted” neighborhoods every five years. We would all take our trash (not garbage) out to our curbs…and then everyone would eye each others’ trash to see if there was something we wanted. We kept hoping they would do that again, but in this time of budgetary conservation, cities can’t afford gifts like that anymore. I need to move every ten years just so I’m forced to purge! Enjoyed this! Moving might just do it. We can so relate to this! We were seriously discussing downsizing a year ago, but then my father-in-law passed away and my mother-in-law moved in with us. Then my daughter graduated from college and moved back home. two months later my wife’s sister moved in with us temporarily. Now our once empty house is full. not only the house, but our garage is full of their stuff! I’ve seen that happen over and over again among my friends. My son has said, Mom, what will you do when my family comes to visit. I say, what family? Well, when I have one. My oldest daughter said she was planning to move soon after she gets a steady job. My youngest plans to leave a year after graduation from college. We’ll see. If I have an empty nest, I don’t need a four bedroom house. I’ve downsized, but when I look around, I see many things that I don’t need and know that my kids won’t want. We become so bound to our stuff, don’t we? Agreed. When I put things in my give away box, I sometimes will have a little tussle of the will with myself. Do I really want to give this away? And the other side says, have you looked at that in the last year? Or done anything with it? Are you really going to read that book again? I am doing the same. Think I will check this page on FB. You inspied me. So hard to do this. I think,”It is just stuff.” I still cling to it.